Once upon a time there was a radio station in São Paulo that beamed strictly radio theatre 24 hours a day. 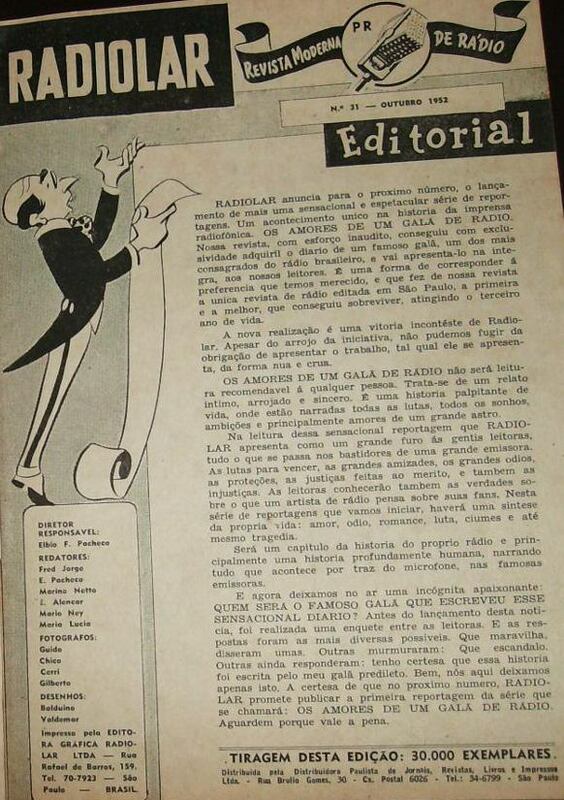 It was called PRA-5 Radio São Paulo and started broadcasting in 1934. 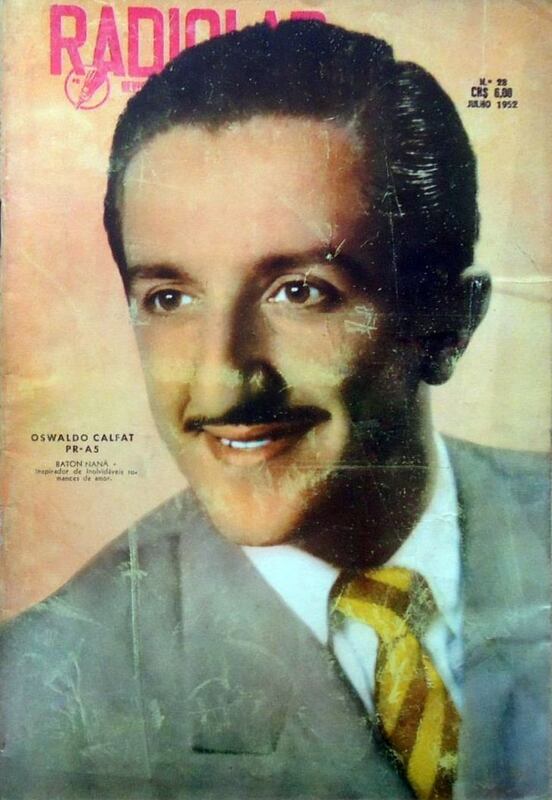 It was owned by João Baptista 'Pipa' do Amaral and his brother-in-law Paulo Machado de Carvalho, the same man that owned Radio Record and Radio Panamericana and later TV Record, Channel 7. 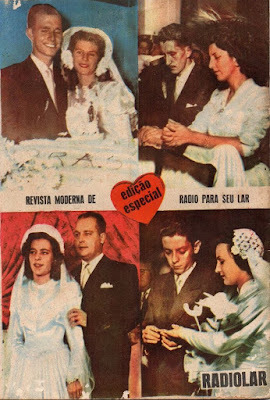 We don't actually know when the drama-only-format started but by the 1950s and up to the mid-1960s Radio São Paulo was strictly radio-theatre. 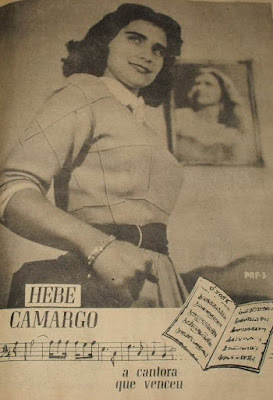 Some used to call it seamstresses' radio station because it was listened mostly by women who either worked as seamstresses at home or at sweatshops around the big city. 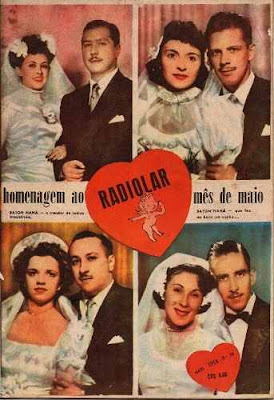 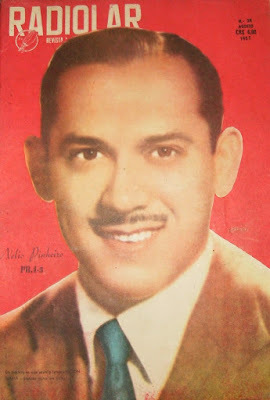 Radio São Paulo was really popular and many of its actors and actresses became idols and were shown at the cover of magazines like 'Radiolar' and 'Melodias'. 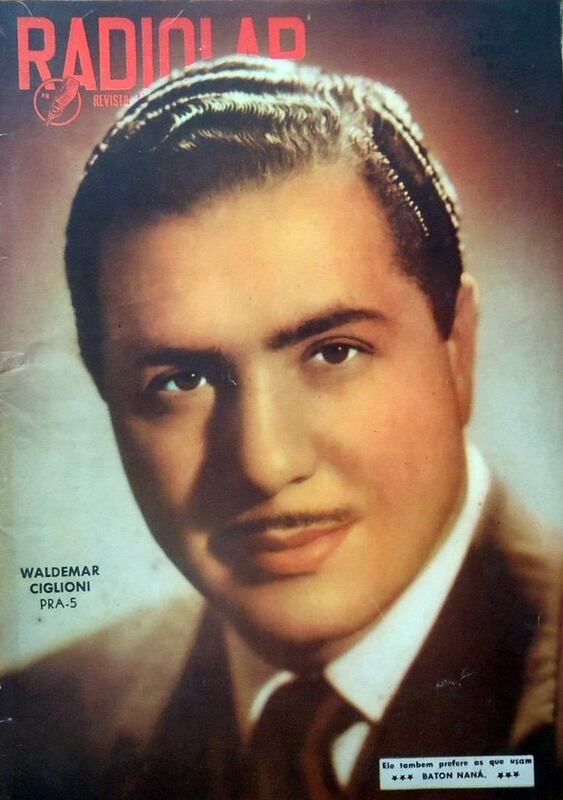 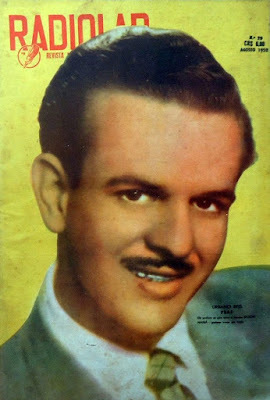 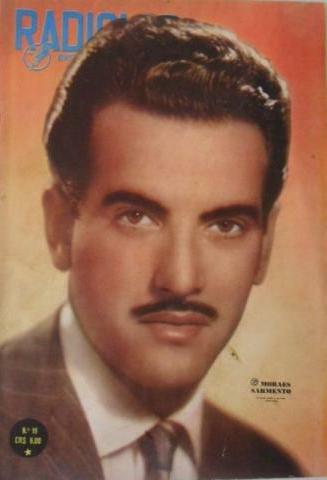 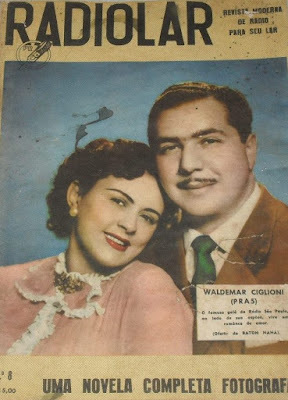 Waldemar Ciglioni on the cover of RadioLar # 5 (August 1950) was one of many radio-actors that lended his smooth voice to embody romantic heroes that peopled a fantasy world inside the heads of thousands of women who listened to radio-drama morning, noon and night... especially seamstress and women who worked at menial jobs. See the small add at the bottom of the magazine cover: 'Ele também prefere as que usam Baton Naná' (He also prefers women who use Naná lipstick!). 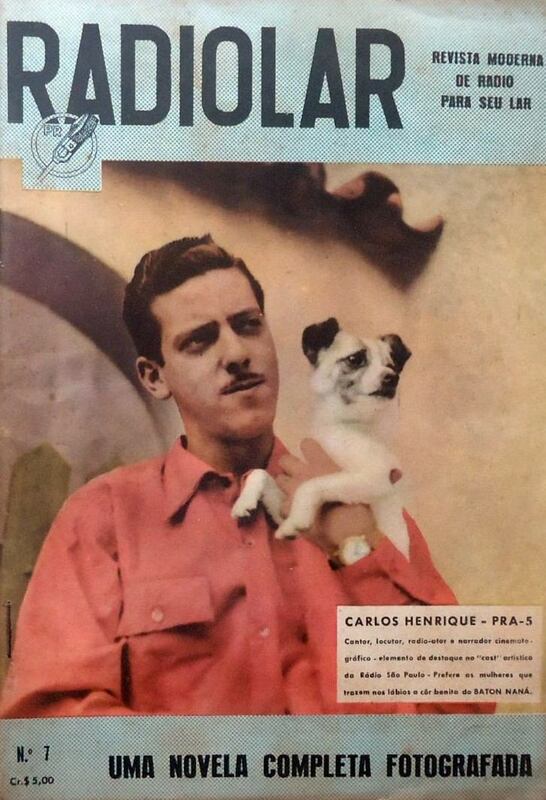 Oct 1950 Carlos Henrique & a friend # 7 ; November 1950 #8. 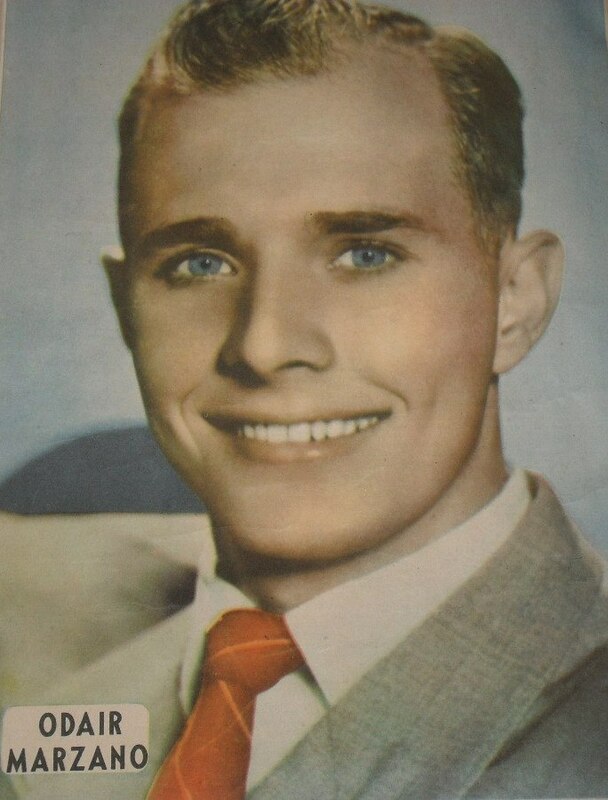 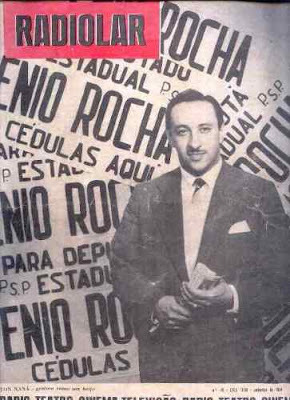 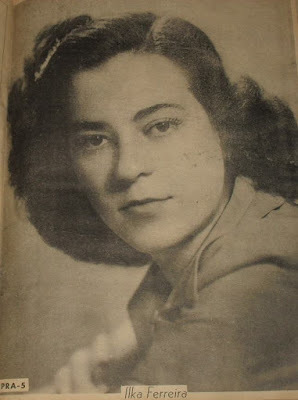 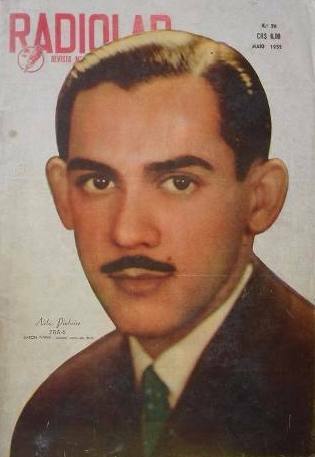 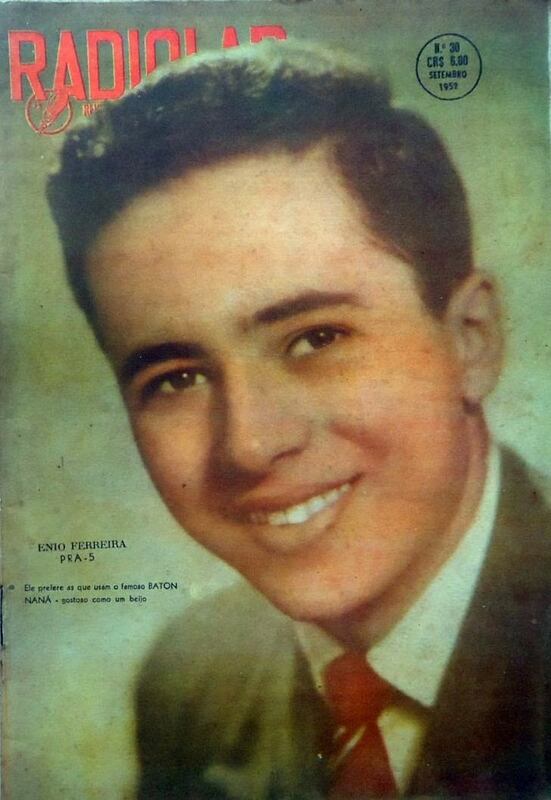 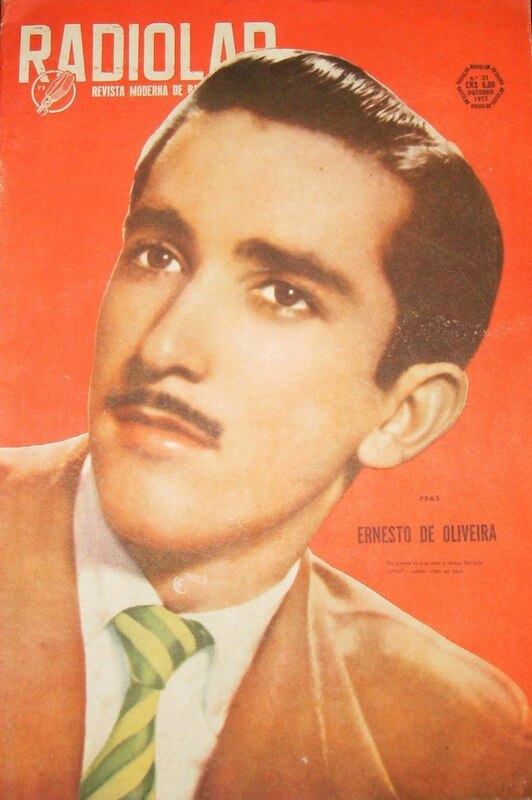 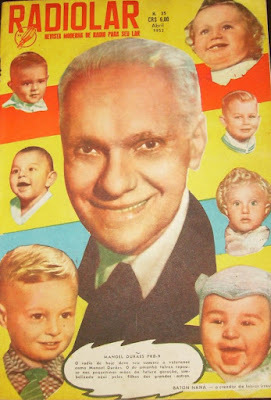 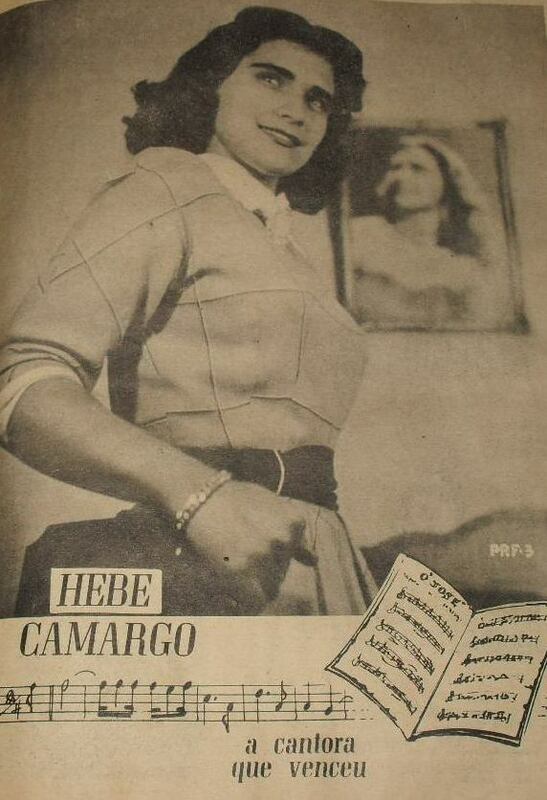 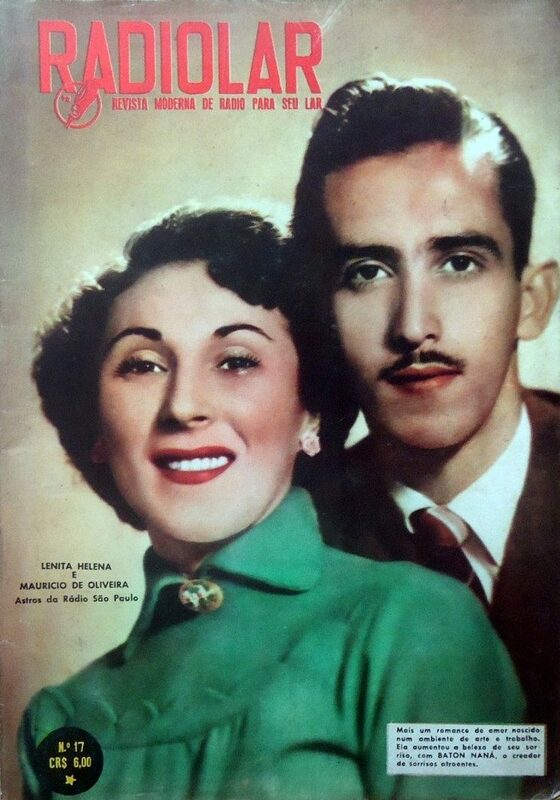 Nov. 1950 Hebe Camargo hits with 'O José' #8; January 1951 Enio Rocha weds #10. 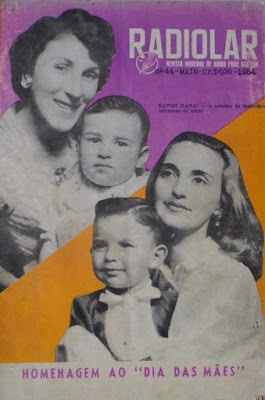 January 1951 Odayr Marzano #10; March 1951 Odayr Marzano & family #12. 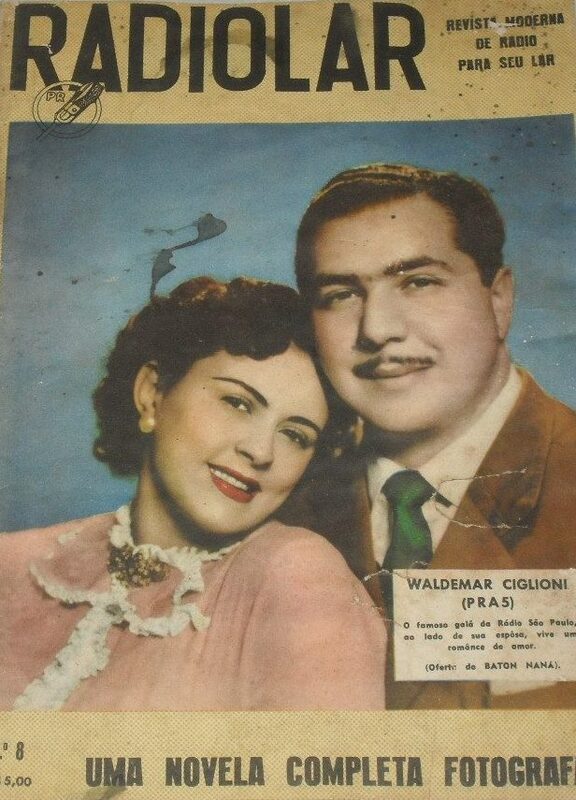 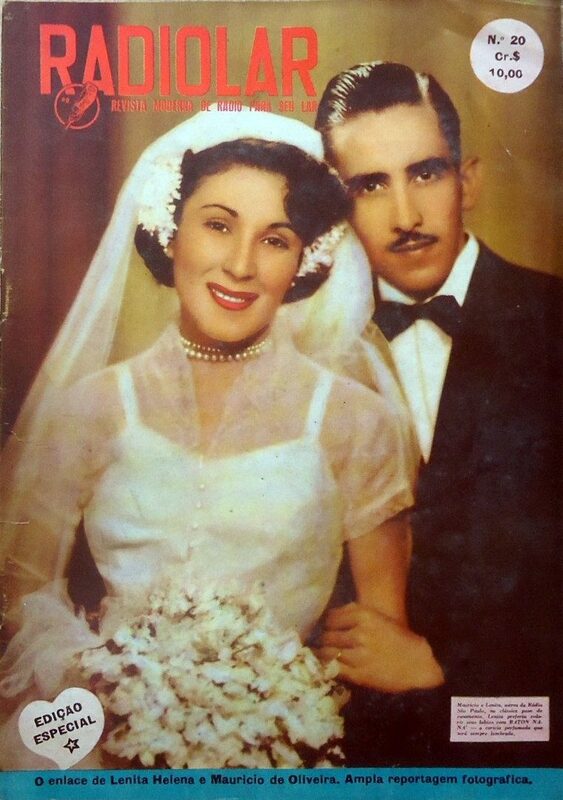 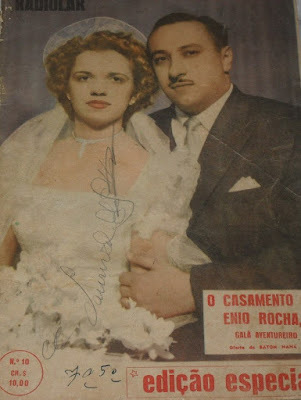 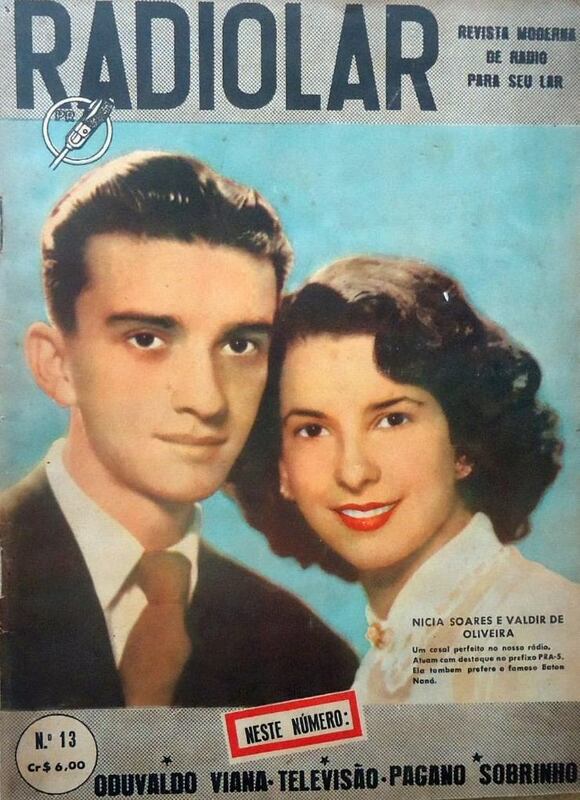 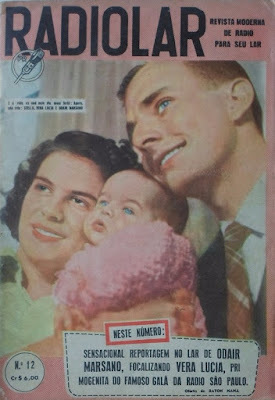 April 1951 Nicia Soares & Valdir de Oliveira #13; June 1951 Cecy & Roberto wed #15. 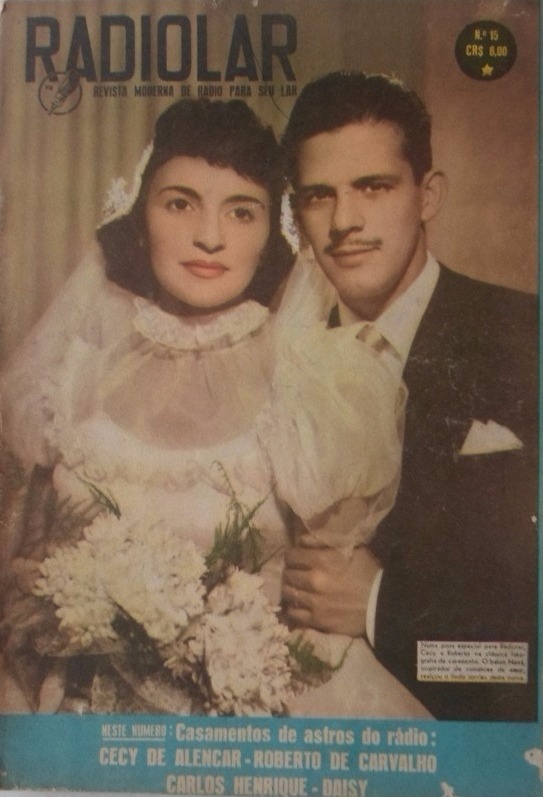 Aug 1951 Lenita Helena & Mauricio de Oliveira as sweethearts (#17) their wedding Nov 1951 (#20). 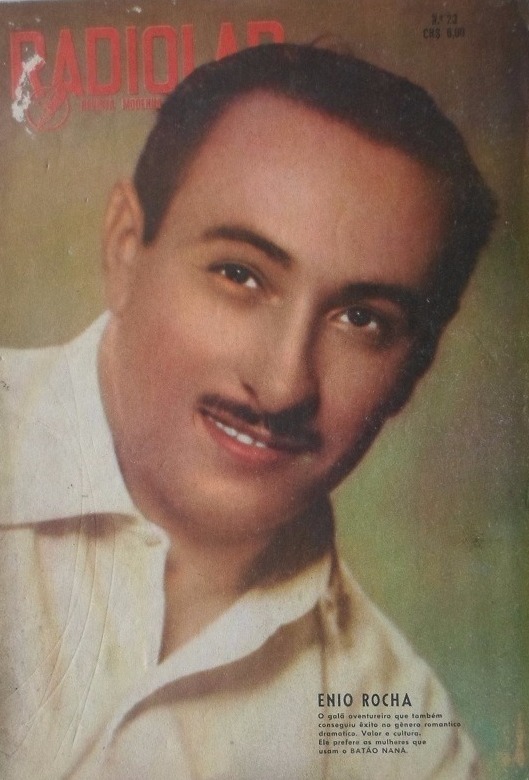 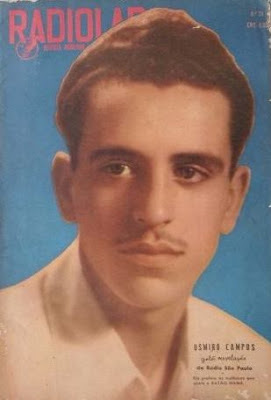 October 1951 Moraes Sarmento #19. 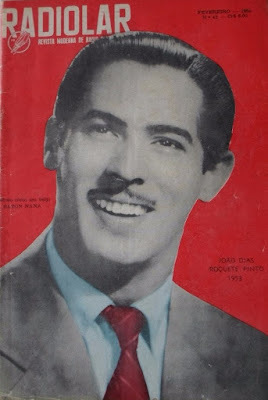 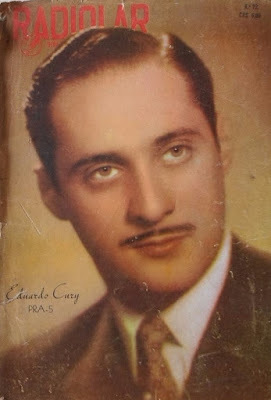 January 1952 Eduardo Cury #22; February 1952 Enio Rocha #23. March 1952 Osmiro Campos #24; July 1952 Oswaldo Calfat # 28. 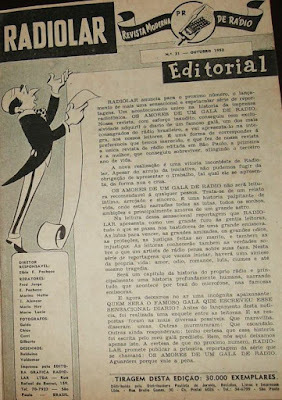 August 1952 writer Urbano Reis #29; September 1952 Enio Ferreira #30. 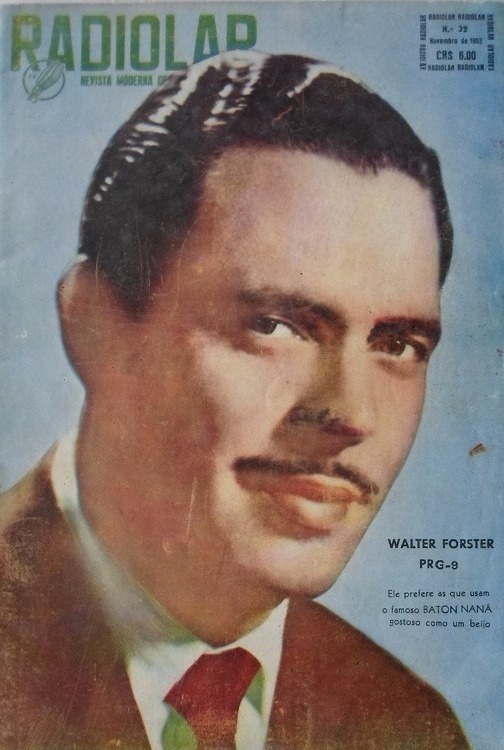 October 1952 Ernesto de Oliveira #31; Nov 1952 Walter Forster PRG-9 #32. January 1953 Sonia Maria & Nelio Pinheiro #34; April 1953 Manoel Durães & Mothers' Day # 35. May 1953 Newly weds special edition #36. 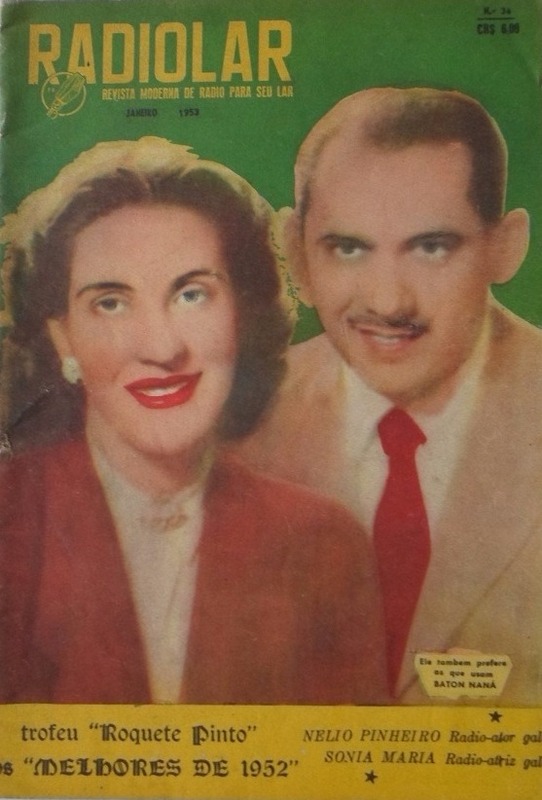 Feb. 1954 João Dias #42; May 1954 Cecy de Alencar & Alex #44. 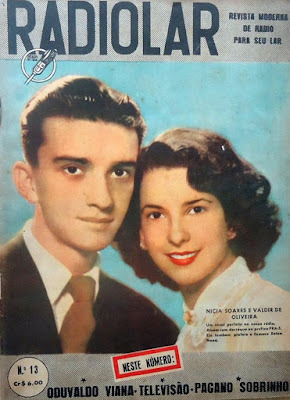 October 1952 Radiolar #31 editorial staff; actress Ilka Ferreira #8 (Nov.1950). May 1952 Nélio Pinheiro #26; May 1953 Nelio Pinheiro #38.